Boats are equipped with GPS, Oxygen kit, MFA kit, Radio VHF DSC, and cell phone. 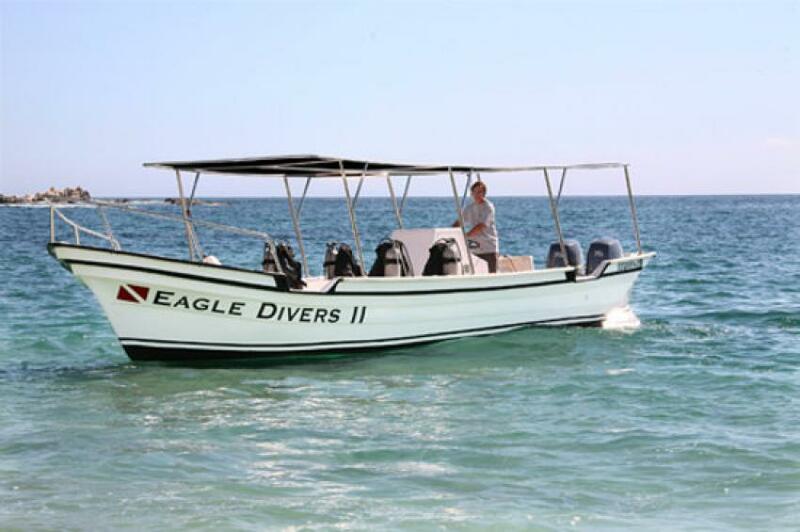 30 feet Eagle Divers II is a custom-made dive boat powered by two 75 hp 4 stroke Yamaha outboard engines; it has sun deck, ample shade, dry storage, toilet and space for 15 divers and 2 guides, used for expeditions tours. 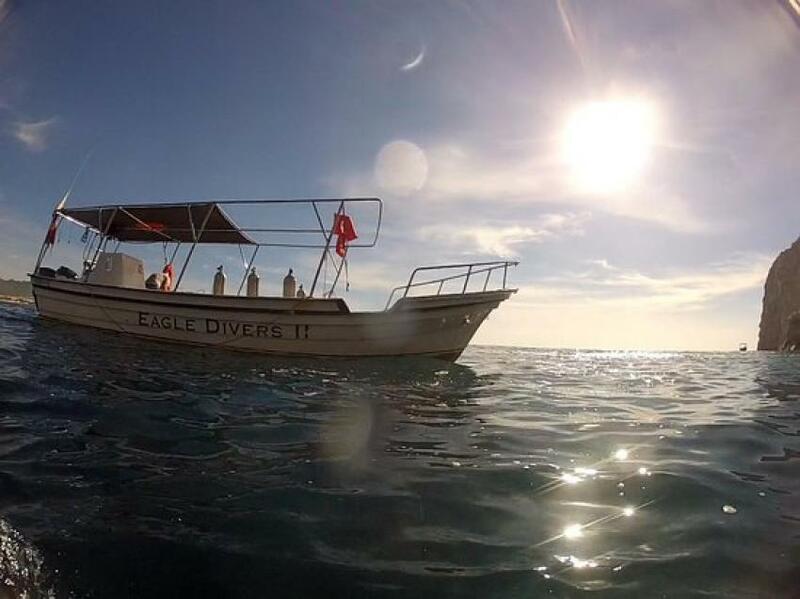 Diving center doesn´t provide transportation from airport.